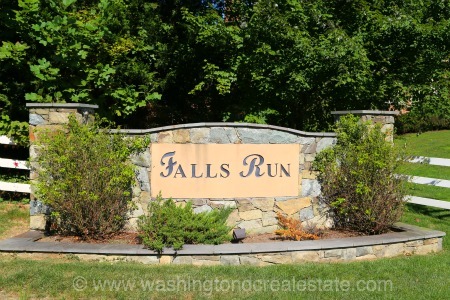 Falls Run is a neighborhood of single-family homes located in Great Falls, Virginia. The community features brick-front Colonial homes sited on generous acre-plus lots. Falls Run was developed in the 2005 to 2008 timeframe. Falls Run is located in Great Falls off Georgetown Pike between Route 7 and Utterback Store Road. The neighborhood is served by the Forestville Elementary School, Cooper Middle School and Langley High School.